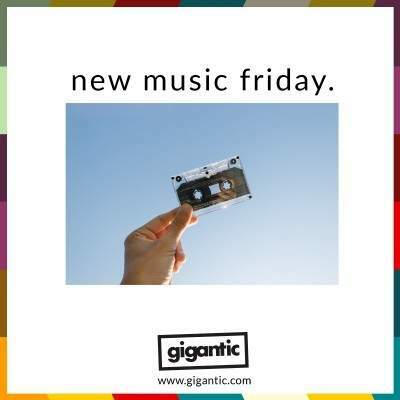 Not only is it a new month but it is also the end of the week which means it is time for your #NewMusicFriday playlist! We bring you the very best new tunes, tracks and videos that you need to know as you dive headlong into the weekend. So, keep scrolling to discover more about the latest music plus grab the tickets you need to hear it performed live! Sardonic songwriter Stella Donnelly is quickly being recognised as amongst the best of the new generation of Australian musicians. Herdulcet vocal tones almost hide the wry lyrical content which reveals her brutal past experiences all too painfully familiar for many young women around the world. With the upcoming release of her debut album ‘Beware Of The Dogs’, Donelly was invited to perform a Tiny Desk Concert for NPR Music and her session included the record’s title track, ‘U Owe Me’ and ‘Allergies’. ‘Beware Of The Dogs’ is released by Secret Canadian on Friday 8th of March and sees Stella Donnelly commence her tour across April and May. Stella Donnelly tickets are currently available. Smooth Icelandic songwriter Júníus Meyvant is back with his second album ‘Across The Borders’. Released by independent label Record Records based in Reykjavík, this eleven-track sumptuous sophomore offering was recorded in the Hljóðriti Studio with the help of musician and engineer Guðmundur Kristinn Jónsson, enlisted to capture Meyvant’s unique blend of folk pop and soul. Despite having been raised on the relatively remote small archipelago of Vestmannaeyjar towards the south coast of his homeland, Meyvant is somehow able to summon up the feel of warmer climes with the gorgeous melodies and sugar sweet hooks feeling more at home on the sunkissed shores of L.A. The luxurious long player features the single ‘New Waves’ which, with it’s impassioned yet silky vocal delivery, bongo beat and blasting horn section, typifies the tropical texture found on the rest of the album. Júníus Meyvant tickets are currently available. Never being ones to shy away from doing something different, Oxford indie rockers Foals have announced that they will release two albums this year which combine to make a whole massive album. The first taste of which comes with new song ‘Exits’ that will appear on ‘Everything Not Saved Will Be Lost Part 1’ which comes out on Friday 8th of March through Transgressive Records, with Part 2 expected to be released in Autumn. Foals tickets are currently available. Drummer Harris McMillan, Singer/Guitars Ben Gregory and bassist Frank Wright are the Hampshire born indie pop trio Blaenavon. Showing a real knack for gorgeous melodies to accompany their earnest lyrics, they have been championed by Greg James on his BBC Radio 1 show. ‘Catatonic Skinbag’ is taken from their forthcoming album ‘Everything That Makes You Happy’ which was produced by Catherine Marks (Foals, Wolf Alice, St. Vincent) but a release date has yet to be announced. Their latest LP will be promoted with a festival appearance at Hit The North in Newcastle plus a tour in May. Blaenavon tickets are currently available. Edinburgh duo Man Of Moon are guitarist Chris Bainbridge and drummer Mikey Reid who first made their statement of intent with the release of their debut single ‘The Road’ by Manchester label Melodic Records which saw them drive towards the nastier side of psyche. The pair have been developing a cult following with appearances at Belladrum and The Great Escape, touring Europe with Django Django and bringing out debut EP ‘Medicine’ in 2016. ‘Ride The Waves’ is the new single taken from second EP ‘Chemicals’ which they recorded with Tom Furse who you will no doubt know as the synth maestro from The Horrors. The title of extended player is a huge indication for the sound of their new single, as it ebbs and flows like the swelling effects of a hallucinogenic drug as they surf deeper into their krautrock influences. Man Of Moon tickets are currently available.